Security camera systems offer break-in protection, employee monitoring, inventory control, and cash register surveillance for a small business application. We came across to many other security concerns in our 10-years of designing custom small business systems. We understand that every business is different. Through our free phone consultation, we specialize in designing solutions specifically for your unique challenges. Our in-house experts are here to answer any questions you may have about technology and to explain the benefits behind our recommended solution. Below we have included a few details from a frozen yogurt shop that we worked with in Dewey Beach Delaware. We understand that this system may not work for your business. 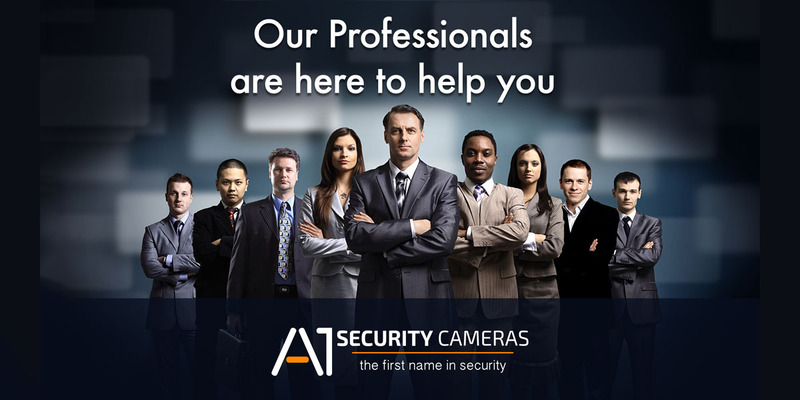 We invite you to give us a call and talk to one of our experienced security camera consultants so we can find the right system for you. We would like to share a unique situation where our customer had his whole front of the store covered with glass. The store was in a strip mall so the glass front was the main break-in concern. They needed a good wide-angle overview camera with exceptional WDR to handle the bright light during the day. The owner of this shop ran two other businesses. This meant he was not on location most of the time. He wanted access to his camera feeds while on the go. A good mobile app for his iPad was important to him. The average employee age for this shop was 17 and the average time on the job was only 5 months. He voiced to us that this made him concerned about his mostly teenager employees giving free yogurt to their high school friends. He wanted to have a camera targeted on the cash register. The back area of the store included the backside of the yogurt machines as well as a safe. He wanted an overview camera that would allow him to see what was happening at all times. The back door of the shop led to the employee parking lot behind the strip-mall. While this entrance was not as crucial for break-in coverage, it was a convenient entrance for employees to sneak in friends. It was also the most likely hangout for the staff while on the clock. Incredible low light visibility, 1080p HD video, True WDR, & low cost where the main reasons that we chose the system above for this customer. The camera covering the front of the store was the most challenging. The true WDR combined with the 1080p HD resolution allows the camera to give exceptional video even in the highly challenging lighting conditions created by the wall of windows. It is very simple, just call us at (866) 441-2288 or reach out to us via Online Chat and we will customize everything from cable length to storage in this system and make sure they are most suitable for you. Affordable product. I love it.